Shawn Audie became a school resource officer in September 2018, after resigning from the Spokane County Sheriff's Office in lieu of being terminated. Before he controversially restrained a student during a violent altercation last week, Ferris High School's school resource officer Shawn Audie retired in lieu of termination when the Spokane County Sheriff's Office found he violated the use-of-force policy during an incident on Dec. 31, 2017. It was at least the fourth accusation of excessive force that Audie faced as a sheriff's deputy. Audie was sued in federal court three times for alleged violent behavior during arrests, including one case when a man lost consciousness and died when Audie applied a neck restraint. Yet Sheriff Ozzie Knezovich says Spokane Public Schools never called the Sheriff's Office to check his background before hiring Audie as a school resource officer. In the past week, images of Audie restraining a student at Ferris High School circulated among students, some of whom held a protest Tuesday for what they felt was unfair treatment of the student who was being restrained. Three students were arrested as a result of what Spokane Public Schools has called a fight in which three staff members were injured when they tried to intervene. But Spokane Public Schools has not released any further information regarding what led to the restraint of the student or how the altercation started. The district conducted a review of the incident and found that Audie did not violate policy, according to Spokane Public Schools spokesman Brian Coddington. Audie, who could not be reached for comment, has been moved to another school in the district. Morning Star Baptist Church pastor Walter Kendricks says he is "outraged" at the pictures of Audie with his knee on the student. He questions why Audie was hired in the first place given his past. "How could they? Who did the background check on him before they hired him to be a resource officer at the school?" Kendricks asks. Coddington says Spokane Public Schools conducted a background check, but that the background check did not flag civil matters like those filed in federal court. He said there was also a reference check process that did not include the sheriff but did include a different supervisor at the sheriff's office. "Who did the background check on him before they hired him to be a resource officer at the school?" The first lawsuit against Audie was filed in 2010. According to the lawsuit, Audie responded to a domestic violence call in March of 2008. There, he found Richard Howley, an elderly disabled Army veteran who has since passed away, and Howley's son. Audie ordered Howley's son to lay on the ground, according to the lawsuit. When Howley's dog came up to sniff Audie, according to the suit, Audie "struck the dog two quick blows with his Police Baton." As Howley, unarmed and dressed in a bathrobe, tried to retrieve the injured dog, he passed by Audie on the porch. Audie struck Howley with the baton, sending Howley down the stairs of the porch. Audie then "struck [Howley] in the back and placed his booted foot and his weight onto [his] back." Howley received a dozen stitches after the incident. The case was eventually settled, says Howley's attorney on the case, Jeffry Finer, who did not disclosed the settlement amount. But Finer remained concerned about Audie. In June 2013, Audie and another deputy, Steve Paynter, responded to a call of a disorderly man in Oz Fitness on the South Hill. The man, Will Berger, was frightening other people at the gym and when deputies arrived, he was swinging at passing cars. His father later described it as a manic episode for Berger, who was dealing with mental health issues. Audie remained a deputy until summer of 2018, when he retired in lieu of termination as the result of an internal investigation. According to the investigation documents obtained by the Inlander via public records request, Audie was accused of using excessive force during an an arrest of a man during a traffic stop. Audie allegedly choked the suspect around the neck, dug his knee into his spine while the man lay face down on the ground and then kicked him. Audie was also accused of making false or misleading statements about the incident during the internal investigation. 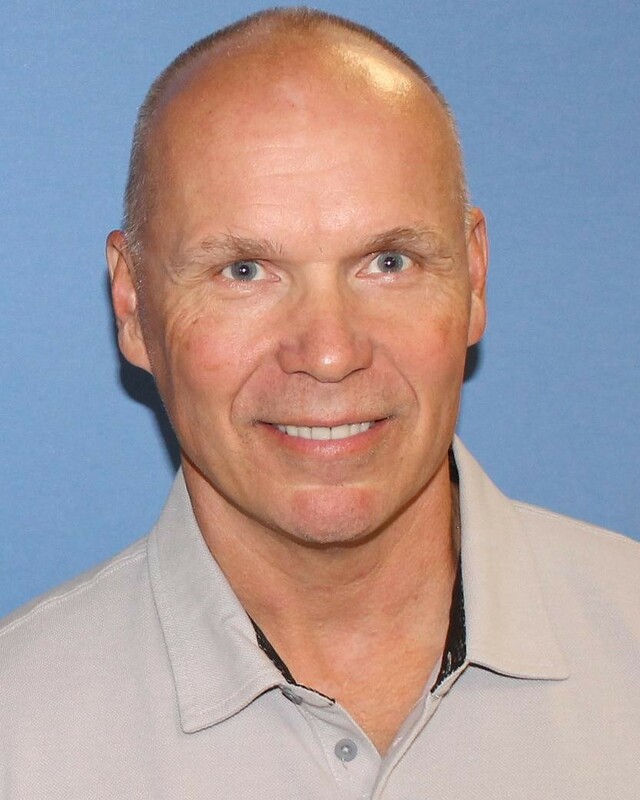 The sheriff's office sustained the allegations against Audie in September 2018. Finer, the local attorney, says that when he found out recently that Audie was a resource officer, he was disappointed based on his past. "It's a pattern of self-control problems," Finer says. Rosey Thurman, an attorney at Team Child, a child and parent advocacy group, says she's troubled that Spokane Public Schools hired someone with Audie's background. But she also thinks he may have used excessive force in detaining the student at Ferris last week. Finer says what he saw did not look like excessive force, but that it's difficult to draw any conclusion based on the short video and lack of context. "It does not look like excessive force, it looks like an officer not able to control a slightly unwilling but not combative detainee," Finer says. An Inlander request for a police report has not been fulfilled. 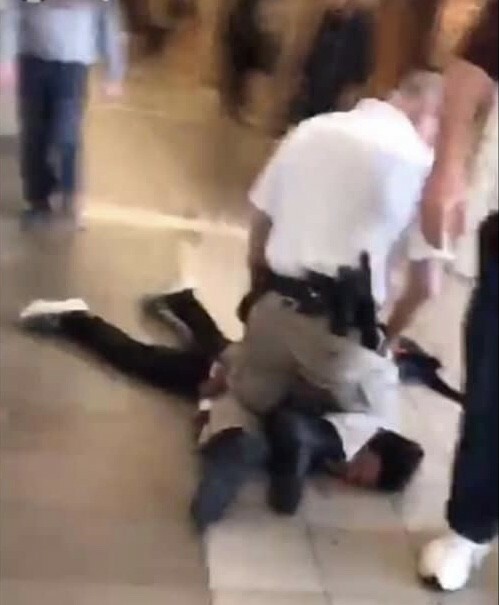 While the school district has characterized it as a "fight," witnesses have taken to social media to dispute that characterization and claimed students were just trying to defend the student who was being detained by Audie. As part of the review of the incident that cleared Audie of wrongdoing, Spokane Public Schools conducted interviews and examined video of the altercation. But the school district would not release any further information on the incident to the Inlander, citing federal law that prohibits the district from discussing student conduct and discipline. When asked if the school district has any plans to review Audie's employment in light of new information, Coddington says "that's a discussion we'll have to have at this point." Kendricks says some community members have a meeting scheduled with district officials next week. But he says the incident at Ferris is another example of disparate treatment of students of color. "The community is not happy and this has to stop. This is part of our battle with the Spokane Public Schools district. It goes on and on," he says. "And this one right here, this is it. This is the line in the sand. We've had enough, and this needs to stop."